Time Line Therapy ™ is a unique & unmatched collection of techniques that allows you to rid yourself of emotional baggage, take control of your life and is a method for creating powerful change and the future you desire. You can become qualified as a Time Line Therapy ™ Practitioner as part of our 4 day Certified NLP Coach course (and if you’re interested in becoming a Master Practitioner of Time Line Therapy ™ you can do this as part of our Masters programme). Time Line Therapy ™ has been used by thousands of people all around the world from psychiatrists & psychologists, to life and business coaches, as well as athletic coaches and other professionals too. 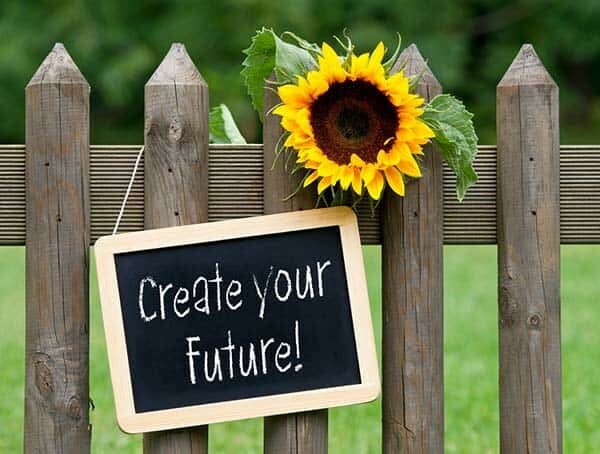 It is sometimes known as Creating Your Future Techniques ® because that’s what it allows you to do! Why is it valuable to learn Time Line Therapy™? Is your life controlled or driven by negative emotions? Many people study NLP and Time Line Therapy ™ techniques for their own personal growth and development. If you are a Coach or Therapist and want to be able to help people move beyond what’s holding them back, you’ll want to have Time Line Therapy ™ in your toolkit. Unlike many other similar techniques, Time Line Therapy ™ is content free – meaning there is no need for the client to have to talk through events from their past. Our Master Practitioners know that the only way to get outstanding results in their coaching is to help people move beyond any baggage and negative emotions that they’re currently consciously or unconsciously holding onto. Throughout history mankind has been aware of the passage of time. Aristotle was the first to mention the “stream of time” in his book Physics IV. William James spoke of linear memory storage as early as 1890. The content was revived in the late 1970’s with the advent of NLP. 1985 saw Tad James PhD apply a therapeutic process to this concept and the collection of techniques which produces long-lasting transformation very quickly was created – techniques that since 1986 have started to become the method of choice for many people to make fast, effective, long-term changes in behaviour. Our past experiences and the memories that go with them affect how we approach present day situations. Inappropriate emotional reactions such as bursts of anger, periods of apathy, depression, sadness, anxiety, and chronic fear, are responsible for preventing people from achieving the quality of life they desire. You may not currently be aware that you’ve made decisions in the past that are currently limiting you – decisions such as “I’m not good enough,” “I’ll never be rich,” or “I don’t deserve a great marriage” etc. These limitations hold people back, they hamper people’s ability to create and reach goals and outcomes. Created by Tad James PhD, Time Line Therapy ™ techniques enable you to eliminate many types of issues in your past. Time Line Therapy ™ assists us to change things, allowing us to move forward toward our goals and desires! The process works at the unconscious level and is based on the principle that once you have learned from any event then you can release the emotions on the event. To find out more about what Time Line Therapy or Creating Your Future Techniques are click here to view our coaching pages. Time Line Therapy Practitioner certification is delivered as part of our 4 day Certified Coach Course & Time Line Therapy Master Practitioner certification is delivered as part of our 14 day Masters Programme. Why book our Time Line Therapy Course? There are many reasons why people choose our courses. Some choose us for our high standards, quality of our trainers and courses – ‘you explain everything clearly and it’s easy for me to get it’. Many people join us because of the way we are able to provide both personal and professional development on our courses. Some book with us because they have been referred to us by a previous delegate, or they’ve heard of the support we provide delegates from the moment they book. Others book because we’re accredited by the ABNLP & TLTA (American Board of NLP & Time Line Therapy Association). Our Lead Trainer for this course, Laura Evans is qualified to deliver both Time Line Therapy Practitoner & Time Line Therapy Master Practitoner, meaning you can qualify in all the Time Line Therapy techniques for Coaches/Therapists. 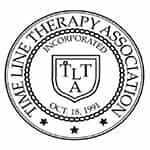 The Time Line Therapy Association is the only awarding body worldwide able to accredit Training schools to offer Time Line Therapy training. What will I learn on the Time Line Therapy course? This course is accredited by the TimeLine Therapy Association. What if I've completed my NLP training with a different provider? No problem. If you have trained with an ABNLP accredited trainer known personally to Unleash Your Potential then it’s entirely possible that you could transition onto our course straight away. If you trained with an ABNLP Trainer not known by us or with a school under a different governing body (such as the SNLP, ANLP, INLPTA etc) we may ask you to complete some ‘top-up’ training to ensure that you are not disadvantaged on course. Please call Lyn on 02920 023311 or email her at info@unleashyourpotential.org.uk and she’ll talk to you about your experience and advice on next steps. Absolutely. At Unleash Your Potential Ltd we believe in offering our customers increased value when booking additional courses. If you book your NLP Coach course (inc Hypnosis Practitioner and Time Line Therapy Practitioner) and Master Practitioner Course at the same time you’ll save money. The more you book the more you save!! Contact us for details. 4 days Certified NLP Coach classroom training, of which your Time Line Therapy training is part. 14 days Master Practitioner Course classroom training, of which your Time Line Therapy Master Practitioner training is part. We have all types of people on our courses. 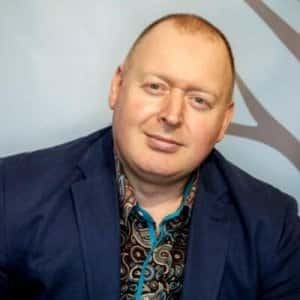 If you enjoyed your taste of Time Line Therapy on your NLP Practitioner course and want to learn more about Time Line Therapy, then the Certified Coach Course is absolutely for you! If you’d like to learn how to use Time Line Therapy or Creating Your Future Techniques as part of a Coaching or Therapy business then you definitely need to attend. If you’d like to learn how to get amazing results for your clients as part of our two day intensive breakthrough Coaching or Weight Change Paradigm Coaching then you’ll need to qualify as a Time Line Therapy Master Practitioner in order that you have the skills to be able to truly help people get the results they desire! (you can qualify for this as part of the 14 day Masters Programme). We take all bookings over the phone so you can call Lyn on 02920 023311, emails us at info@unleashyourpotential.org.uk or contact us though our website here. As soon as you invest we will send out your confirmation of booking. The beauty of this course is there is minimal pre-course study – we will explain what you need to do when we take your booking. You’ll find us approachable, helpful and friendly all the way through your experience with us – we can’t wait to see and hear how you can use what you’ve learned to improve you results!